Time course of an "ideal filtration marker" (see text) as kidney function declines in a patient with kidney disease. Assumption 1: Kidney function, calculated as the rate of excretion of the marker divided by its plasma concentration, P, declines steadily with time. Assumption 2: Excretion of the marker, which is produced by the body at the constant rate, remains constant with time, despite decreasing kidney function. Consequence 1: Plasma concentration, P, of the marker increases at a progressively increasing rate with time, even though kidney function is declining at a steady rate (Figure 17.1a). Consequence 2: The reciprocal of plasma concentration, 1/P, declines at a constant rate with time (Figure 17.1b). 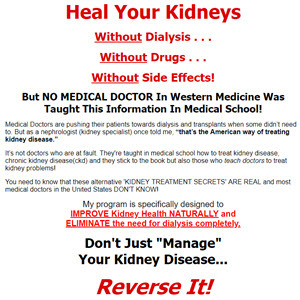 This rate is a measure of how fast kidney function is decreasing. This technique, even though it is widely used, is very unreliable. Thus, based on sequential creatinine measurements, progression may appear from to be occurring when in fact it is not, and the converse is also true. These problems occur whether the measurements consist of crea-tinine levels alone or of creatinine clearances (without cimetidine). Furthermore, not all patients' creatinine measurements yield a straight line when plotted. As summarized earlier, cimetidine, administered the night before a clearance test and again at the start of the determination, makes creatinine clearance nearly equal to GFR (actually about 7 percent greater), when measured over three 30- to 40-minute collection periods, with water loading. Furthermore, the rate of progression, measured by sequential values of creatinine clearance (or, more simply, serum creatinine values, recalculated as reciprocals, after taking cimetidine each time), is equal to the rate of progression measured simultaneously in the same subjects by radioactive isotope GFR determinations. This technique is a relatively simple and inexpensive way to assess disease progression. It is paradoxical that serum creatinine concentration, the most widely employed measure of kidney function, should be so highly unreliable by itself, but it should become so reliable after cimetidine administration. A modification of simply measuring sequential creatinine concentrations has been used in clinical trials: The time to doubling of serum creatinine concentration of each patient is calculated, and the results for each treatment group are averaged and compared. A major difficulty with this technique is that in some patients, serum creatinine concentrations fail to double in the allotted interval. This will be the case no matter how long the interval, because, as explained in Chapter 16, for unknown reasons, some patients never do progress. This technique has little to recommend it. Until recently it was generally agreed that only sequential measurements of GFR could give reliable estimates of progression for a clinical trial. Even with these measurements, problems arose. For example, it is well recognized that GFR, in the presence or absence of renal disease, varies with protein intake. Thus a normal subject, placed on a very-low-protein diet, will experience a decrease in GFR that will persist until the subject goes off the diet. The magnitude of this change is variable but averages about 20 percent; it takes several weeks to reach its final level. Any study comparing progression on diets with differing protein contents must deal with this short-term effect. In particular, if the starting GFR for each patient is taken as the baseline GFR, before starting a low-protein diet, the actual rate of progression on the low-protein diet will be overestimated, sometimes by a considerable amount. What matters to the patient's future is the long-term rate of progression, not the degree of decline in a relatively short period. A French study of disease progression on people taking ketoacids failed to find an effect because the researchers did not consider this problem. This phenomenon also has obscured the conclusions of the large Modification of Diet in Renal Disease Study, in which those on protein restriction clearly exhibited a short-term decline in GFR and a later reduced rate of progression. When the study ended at two years, there was little difference between final GFRs of the two groups, even though the disease clearly was progressing more slowly among those whose protein intake was lower. So far we have assumed that GFR measurements are to be taken at regular intervals, and the rate of decline of GFR calculated from these data. It turns out that this approach is quite inefficient. The GFR measurements at the beginning and end of the period of observation have a much more important effect in determining the rate of decline than do measurements made near the middle of the interval. In fact, these latter measurements hardly contribute at all. A better design is to make several GFR measurements near the start and end of each observation period. I am not aware of any published results that employ this method. Another problem, common to all clinical trials, is dealing with dropouts. Obviously they cannot be ignored, since one treatment may lead to more dropouts than another. Various techniques for dealing with dropouts have been proposed. When dropouts amount to a substantial proportion of the patients, the results of the study cannot be regarded as meaningful. Another major problem is so-called intention-to-treat analyses. Statisticians insist that the results of treatment and control groups should be analyzed separately, no matter how much overlap there is in the experimental variable between the two groups. Thus, for example, if a study is designed to see how blood pressure affects progression of renal disease, the actual blood pressures of the patients in the two groups are not what matters; what matters is whether a given individual has been assigned to the low-blood pressure group or the higher-blood pressure group. This means that a patient with a relatively high blood pressure who is part of the low-blood pressure group will be analyzed as if she had low blood pressure. The reason for this curious logic is that the possibility cannot be excluded that her rate of progression was slow to begin with and was scarcely influenced by the attempt to lower her blood pressure. In a secondary analysis, it can be determined in the combined patient population whether there is a relationship between blood pressure and rate of progression. But the result of this secondary analysis may be misleading: Those patients who progress the fastest, for example, may have more severe renal disease that causes higher blood pressure, rather than the blood pressure causing the progression. Most of the published studies of progression of renal disease have been poorly controlled, often because a proper experimental design was beyond the investigators' resources. A common design, which has little to recommend it other than low cost, is a simple crossover. In this design patients are observed before and after the introduction of the experimental variable. The problem is that whatever change in progression rate (or anything else) that is observed could have taken place without the introduction of the experimental variable. Another common design is the comparison of rates of progression of two groups, one of which is treated with the experimental variable. Unless the assignment to these two groups is randomized, there may be differences between the two groups that invalidate the results. Blinding—that is, not telling the subjects which group they have been assigned to—is impossible in most diet studies but is highly desirable in drug studies. The absence of blinding leaves open the possibility that bias may affect the results.